In today’s digital world, businesses need to pay attention to their online reputation. Studies show that 97% of consumers use the internet to find a local business. So it’s critical that your online first impression is a good one. Ignore this aspect of your business and you not only risk losing revenue – you risk your very survival. However, it’s not good enough to just monitor your brand online. To be competitive, you need to be proactive and build a reputation your customers will love. There are plenty of options for getting your online reputation on the right track, but which should you work on first? Below are 5 keys every business should employ for building a great online reputation. One of the first things all business owners should do is claim their Google My Business listing. (See how to claim your listing here.) Your Google My Business page plays a key role both in your online reputation and SEO. It is a trusted resource where prospective customers find information regarding what your business does, your location and how to contact you. It is also where customers can leave online reviews (and you can respond to these reviews). In many instances, your Google My Business page is the first thing someone sees when researching your business online. Make a good first impression by ensuring your listing is filled out, has photos and is optimized for search. And, don’t forget to update your listing on a regular basis. A poor showing here can reflect badly on your reputation and cause prospective clients to look elsewhere. A key part of your online reputation management strategy is monitoring what people are saying about your brand across the web. Having a 360 degree view is important in growing your brand image. The last thing a business wants is to be blindsided by a bad review, negative social mention or unflattering Facebook conversation on the web. However, trying to manually monitor all the review sites, social media, blogs, message forums, online directories, etc. is a labor-intensive undertaking. There are several free tools on the web that allow you to do this as well as companies that specialize in online reputation management services. Do some research and connect with a solution that’s right for you. Local businesses, especially new ones, need online reviews. Having lots of reviews builds trust towards your business. Not to mention that 88% of consumers say online reviews influence their purchase decisions. Unfortunately, you can’t count on reviews to just start rolling in. That’s why asking for reviews is a good strategy. The objective is to generate a steady stream of “fresh” online reviews. Consumers want to read reviews. However, they want to read recent reviews. 77% of consumers say that reviews more than 3 months old are not relevant. The best time to ask for a review is when you thank the customer for their business. 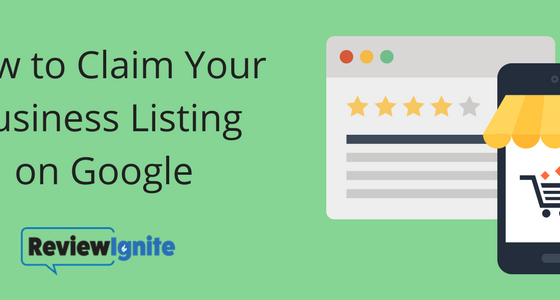 Simply invite them to leave a review for your business on a major review site (i.e., Google, Facebook, YP.com). Also, don’t ask for a 5-star review; don’t give an incentive for a review; and, don’t pester your customers for reviews. Because reviews are user generated content, Google rewards businesses with a large number of reviews with higher rankings in local search. Businesses should not fear taking a proactive role in soliciting reviews. This is a practice you can start right away. Before your start replying, it’s a good idea is to put together a review response process for you and your staff to follow. You can also use a response template, but the best practice is to customize every reply. Customers want to hear back from you in real, everyday language – not corporate speak. Responding demonstrates that you care about the customer’s concerns and are willing to fix their issues. It will also enhance your online reputation in the eyes of others that read your responses. Being on social media is no longer optional for businesses. Social media is so tied into your overall digital presence (i.e., SEO ranking, being found by consumers, customer engagement) as well as your online reputation. Your absence here negatively impacts your business’ revenue potential. But don’t just be present – engage with your audience. Post regularly, but make sure you are asking questions to spark a conversation. Also, be quick to respond to customer inquiries as social channels are the more preferred method of contacting you than using your 800 number. Taking an active role in your brand’s online reputation is a must for all business in order to be successful. Implementing these 5 keys can pay immediate dividends for your business and help ensure your online reputation gets on the right track. However, you can’t expect to build a great online reputation tomorrow if you aren’t delivering a great customer experience today. If you are not putting the focus on the customer from the beginning, your online reputation will crumble before it even gets built. And, as the owner of the business, it’s up to you to set a customer-focused culture. It starts by defining what an exceptional customer experience looks like for your business. Then training your employees (continuously) to apply this process consistently at every customer interaction. Your competition is doing this already. If you don’t have a customer experience program in place, start developing one immediately. Remember that building a great online reputation is a journey. These steps are designed to jump start your efforts in taking control or your online reputation and ensuring it is trending in the right direction. But, there’s a lot more to be done to maximize this critical area of your business to build trust with customers and grow sales over time. Need help with managing your online reputation? 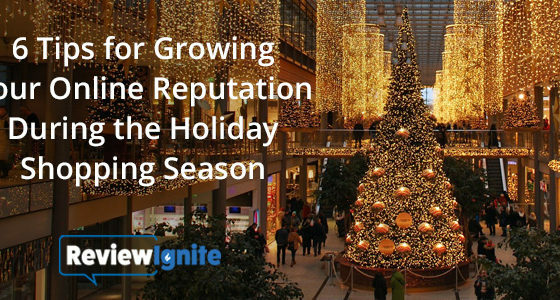 ReviewIgnite specializes in helping customers leverage their online reputation to attract more customers and grow sales. See our online reputation management platform in action. Contact us to get your free, no obligation demo today! 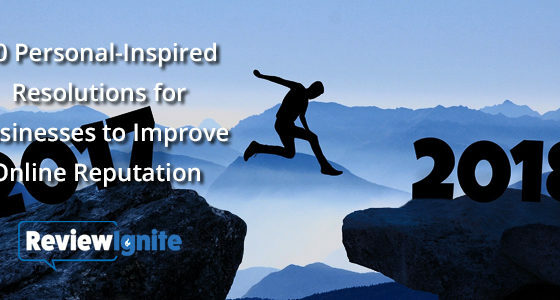 Sign up to receive new blog notifications and other great content to help you get better reviews and IGNITE your business.